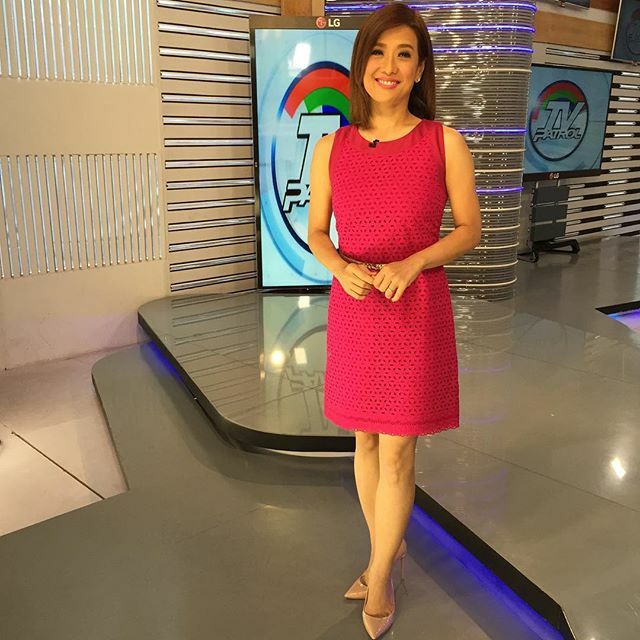 After months of filling in as substitute anchor, Bernadette Sembrano has officially been named new permanent co-anchor of TV Patrol, joining Kabayan Noli De Castro and Ted Failon. Sembrano, who made her low-key debut Monday night, is succeeding longtime anchor Korina Sanchez -- who will be focusing her attention on campaigning for her husband, Mar Roxas, for next year's presidential election. With her new post, Sembrano is said to be leaving her afternoon program on DZMM and may also leave either Umagang Kay Ganda or the weekend medical program Salamat Dok. Sembrano is no stranger to the anchor desk as she had been the co-anchor of TV Patrol's weekend edition from 2005-2011. She has also been co-anchoring Top Story on ANC since 2012. Prior to joining ABS-CBN, Sembrano was the original host of GMA-7's Wish Ko Lang and correspondent for the venerable news magazine program The Probe Team. With Manong Ted and Kabayan ! Happy Monday !! !